[S28] Personal knowledge of Ann Fox Gulbransen. [S541] Birth Certificate, Birth certificate of Ann Snow Fox. [S10] Bertrand Fox, "Bertrand Fox Papers." [S12] "The Patricia Fox Papers - Cousins Project," Patricia Noyes, 1990 Collection of A. Gulbransen. [S315] Marriage Certificate , Ann Snow Fox and Martin Gulbransen. Professor Emeritus Bertrand Fox, an economist and investment banking expert who had a lasting impact on Harvard Business School as director of its Division of Research, died on March 14 in Lexington, Mass., at the age of 92. Fox was a distinguished member of the School’s faculty for 25 years, beginning in 1949. He served as the Edsel Bryant Ford Professor of Business Administration from 1955 until 1967; from1967 until his retirement in 1974, he was the first incumbent of the Jacob H. Schiff Professorship of Investment Banking. In 1984, Fox received the Harvard Business School’s Distinguished Service Award. 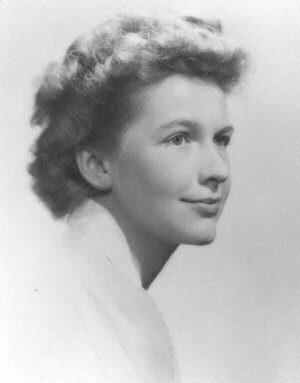 As director of the Division of Research from 1953 to 1968, Fox had responsibility for funding and publishing all the research done at the Business School. During World War II, Fox spent four years in Washington, D.C., in charge of the economic, statistical, planning, and programming staff work of the War Production Board. In that position, he came in contact with many Harvard Business School faculty members and became known at Harvard for research aimed at producing information needed by policy-makers. 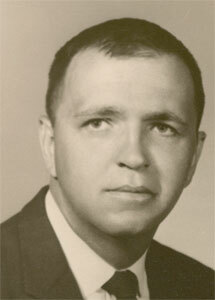 Fox later worked during the Korean War as an advisor to the Office of Defense Mobilization. From 1958 to 1962, Fox was director of research for the U.S. Commission on Money and Credit, a major study of the nation’s monetary system. He was also a co-founder of the Cambridge Research Institute. 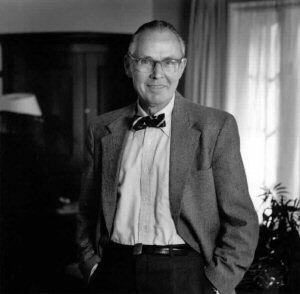 Upon his retirement in 1974, a number of colleagues established the Bertrand Fox Publication Fund to underwrite the publication of research studies and other faculty manuscripts. A native of Wisconsin, Fox earned his A.B. degree in mathematics and astronomy from Northwestern University in 1929. After earning his A.M. (1933) and Ph.D. (1934) in economics from Harvard, he taught economics at Williams College from 1935 to 1949. [S696] "Miscellaneous Single Documents," Wedding announcement from the NY Herald Tribune Collection of A. Gulbransen. [S315] Marriage Certificate , Bertrand Fox and Patricia Noyes O'Neil. [S66] Social Security Death Index. [S314] Death certificate of Bertrand Fox. [S653] Biography/Burial Data, online www.findagrave.com. [S674] 1910 United States Federal Census, IL, Roll 624-240, part 2, p. 254b. [S675] 1920 United States Federal Census, IL, Roll T625_358, P. 1A. [S676] 1930 United States Federal Census, IL, Roll T626_500, p. 238. [S1095] 1940 United States Federal Census, Year: 1940; Census Place: Williamstown, Berkshire, Massachusetts; Roll: T627_1570; Page: 10A; Enumeration District: 2-144. [S610] Harvard University Gazette, April 2000. Biography: Born and raised in Manhattan, Kansas, where he had his schooling through college at Kansas State Agricultural College. Shortly after graduation he enlisted in the 20th Kansas, saw service in the Philippines being promoted to 2nd Lt. in the field. He was mustered out in San Francisco as totally disabled with a life expectancy of less than 1 year. He recovered completely and took his senior year again at Dartmouth where his cousin, Earnest Fox Nichols, was head of the Physics Department and later President, and where he was a student of E. B. Frost. They persuaded him to seek a career in astronomy, and Frost later arranged for him to have a graduate fellowship at Yerkes Observatory of the University of Chicago at Williams Bay, Wisconsin. 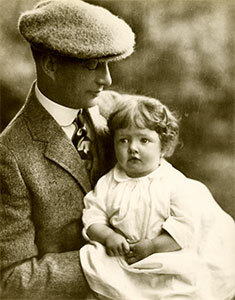 After his marriage to Ethel Snow, he continued his graduate work in astronomy in Berlin, where Steve was born in 1906. 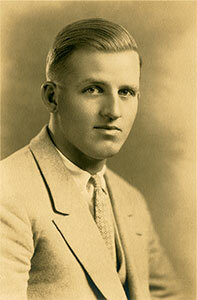 He then returned to Yerkes on the staff, where Bert was born in 1908. In the following year, 1909, he became director of the Dearborn Observatory of Northwestern University at Evanston, Illinois where Trudie and Bob were born. He continued as Professor of Astronomy and Director of the observatory until his resignation in 1929, with time out for Army duty in the U.S. and France in World War I at the rank of Major. 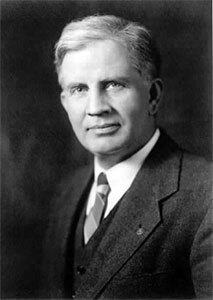 In 1929 he accepted the directorship of the Adler Planetarium and Astronomical Museum in Chicago, the first planetarium in the U.S. He resigned that post in 1937 to become director of the Museum of Science and Industry, founded by Julius Rosenwald in Chicago. He served in that capacity until he was summarily forced to resign in 1940, a tragic episode. [S30] "The Philip Fox Papers," Philip Fox, 1900-1945 Collection of A. Gulbransen. 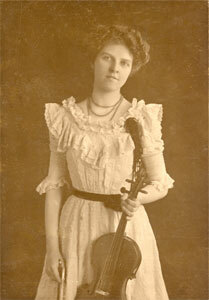 [S254] Sophia Smith Martin, Mack Genealogy. [S315] Marriage Certificate , Philip Fox and Ethel Lillian Snow. [S314] Death certificate of Philip Fox. [S755] Philip Fox Tombstone, Photographed by Ann Fox Gulbransen, 1990. Collection of A. Gulbransen. [S672] 1880 United States Federal Census, KS, roll T9_394, Enumeration district 254, p. 290D. 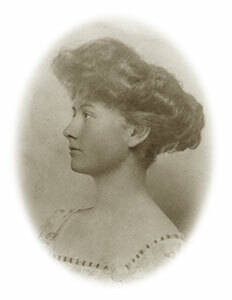 [S99] Evelyn J. Brown, "Evelyn Brown's data." [S678] 1900 United States Federal Census, KS, Roll T623, book 2, p. 98. [S1095] 1940 United States Federal Census, Year: 1940; Census Place: Evanston, Cook, Illinois; Roll: T627_779; Page: 9A; Enumeration District: 16-209. [S541] Birth Certificate, Gertrude Fox, Cook Co IL. [S541] Birth Certificate, Robert Temple Fox, Cook Co IL. [S314] Death Certificate of Ethel Snow Fox. [S678] 1900 United States Federal Census, IL, Roll T625_246, Book 1, p. 302a. [S1073] Engagement Announcement, New York Times, 26 Apr 1941. [S315] Marriage Certificate , John W. O'Neill and Patricia A. Noyes. [S314] Death certificate of Patricia Noyes Fox. [S675] 1920 United States Federal Census, NY, roll T625_1277, p. 10A. [S1119] 1925 unknown record type, New York, unknown record info. [S676] 1930 United States Federal Census,. [S1095] 1940 United States Federal Census,. [S23] "Joan Noyes' notes," Joan Noyes, c 1945 Collection of A. Gulbransen. [S491] Arthur Hastings Grant, Grant Family. [S1017] U.S. Passport Application , 1923: Dewitt Clinton Noyes, wife Janet and daughters Isabel and Peggy. [S602] WWI Draft Registration Card (published). [S672] 1880 United States Federal Census, NY, T9_880, p. 415a. [S627] Adams Genealogy, 1969, Collection of A. Gulbransen. [S542] Obituary, New York Times 21 Dec 1939. [S1073] Engagement Announcement, New York Times, 16 Sep 1910. [S754] DeWitt Clinton Noyes Tombstone, Photographed by Ann Fox Gulbransen, May 16, 2005. Collection of A. Gulbransen. [S541] Birth Certificate, Esther Janet Pallen. [S542] Obituary, New York Times 11 Jan 1958. [S760] Esther Janet Pallen Tombstone, Photographed by Ann Fox Gulbransen, Aug. 25, 2002. Collection of A. Gulbransen. [S678] 1900 United States Federal Census, MO, Roll T623_901, book 1, p. 120. [S677] 1910 United States Federal Census, NY, roll T624_1091, book 2, p. 83b. [S51] "Jeanne Gulbransen's notes," Jeanne Hull, 1990 Collection of A. Gulbransen. [S541] Birth Certificate, Martin Gulbransen. [S265] Jill and Tim Dyches, "Email from Jill and Tim Dyches," e-mail to Ann Gulbransen, July 23, 2002. [S315] Marriage Certificate , LaMar D. Gulbransen and Mary Ann Green. [S1006] California Marriage Index (published). [S314] Death certificate of LaMar Dyches Gulbransen. [S1095] 1940 United States Federal Census, Year: 1940; Census Place: Salt Lake, Salt Lake, Utah; Roll: T627_4223; Page: 13A; Enumeration District: 30-27. [S234] Mary Ann Green, Birth Certificate 86226 (Dec. 8, 1928). Steve was born in Berlin, Germany where Philip was continuing graduate work. 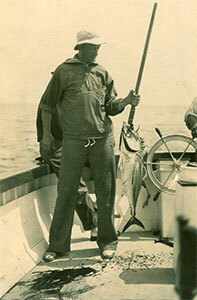 He lived briefly in Williams Bay, WI before moving to Evanston, IL in 1909 where he attended local schools. 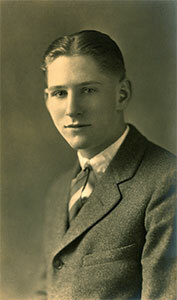 He graduated from Northwestern University in 1927. He was employed by Williamsport Wire Rope, Williamsport, PA as a sales executive and resided in Cleveland, OH. Bethlehem Steel Corp. purchased the Williamsport organization in the 1930s. He was promoted to the corporate office in Bethlehem, PA, and moved forts to Coopersburg, PA then Bethlehem, PA in 1944. He rose through the corporate structure, retiring as Sales Manager, Wire Rope and Strand Division in 1971. [S695] Letter, Stephen Snow Fox to Bertrand Fox, Mar 30, 1983. [S314] Death certificate of Stephen Snow Fox. [S1095] 1940 United States Federal Census, Roll T627-3049, Page 1A, ED 18-57. [S543] MaryAnn Tuttle, "Mary Ann Retailliau's Data," e-mail to Ann Gulbransen. [S1095] 1940 United States Federal Census, Year: 1940; Census Place: Los Angeles, Los Angeles, California; Roll: T627_379; Page: 5A; Enumeration District: 60-1076. [S34] James Ellis Fox, "Jim Fox's Data," e-mail to Ann Gulbransen, 2000. [S698] Letter, Robert Temple Fox to Bertrand Fox, March 2, 1983. [S1185] Social Security Claims Index. [S697] Letter, Stephen William Fox to Stephen Snow Fox, 1983. [S531] John Alan Fox, "John Fox's Data," e-mail to Ann Gulbransen, September 12, 2003. [S975] Erica Lizabeth Fox, "Email from Erica Fox," e-mail to Ann Gulbransen. [S9] Barbara Ziegler, "The Barbara Ziegler Papers." [S675] 1920 United States Federal Census, MA, roll T625_716, p. 5b. [S676] 1930 United States Federal Census, MA, roll T626_926, p. 3b. Philip Fox II was born on 1 September 1937 in Boston, Suffolk County, Massachusetts.1,2 He was the son of Bertrand Fox and Mary Kent Ziegler.1 Philip Fox II died on 4 October 2013 in Bangor, Penobscot County, Maine, at age 76. [S543] MaryAnn Tuttle, "Mary Ann Retailliau's Data," e-mail to Ann Gulbransen, 29 August 2006. [S675] 1920 United States Federal Census, WA, Roll: T625_1934; Page: 2A; Enumeration District: 83; Image: 218. [S1095] 1940 United States Federal Census, Year: 1940; Census Place: Ravenna, King, Washington; Roll: T627_4345; Page: 61A; Enumeration District: 17-161. [S696] "Miscellaneous Single Documents," Copy of wedding invitation Collection of A. Gulbransen.